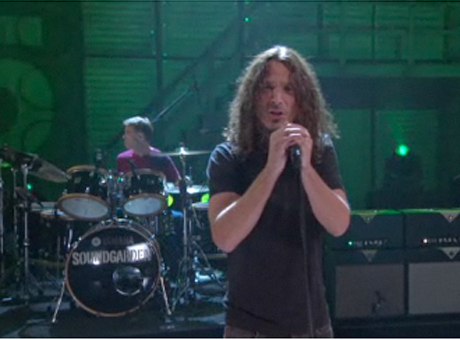 Grunge heavyweights Soundgarden performed "Black Rain" and "Hunted Down" on Conan O'brien's new TBS show, Conan, last night (November 9). If you missed it, don't worry because you can catch it now. Soundgarden released a best-of compilation, titled Telephantasm, this past September via A&M.